“I need to be sent off properly.” This week, A&E released a new preview for part one of the Duck Dynasty series finale. 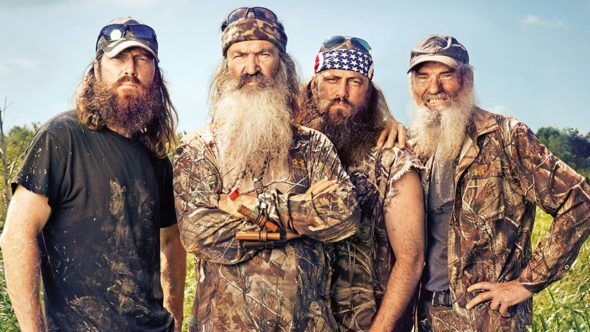 Earlier, we reported the Robertson family has decided to end the docuseries after 11 seasons. The show follows the Louisiana family who own the Duck Commander business, which makes products like duck calls for duck hunters. The series finale of Duck Dynasty is scheduled to air on A&E tomorrow, March 29th, at 9 p.m. ET/PT. What do you think? Are you a fan of Duck Dynasty? Are you sad to see the series end? I will truely miss duck dynasty. I adore the family.they put God first n their lives.they raise their kids to put god first n their life.I can watch them non stop.tk u for bringing love n happiness n my life.I will deeply miss all of u .GOD BLESS ALWAYS.